A new world record for Ryzen 7 processor frequency has been achieved. No, this is not the world record for all Ryzen processors. 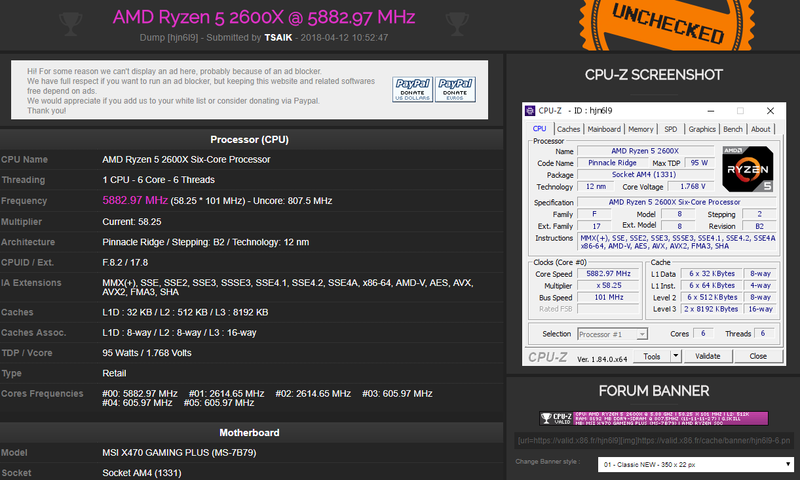 The highest clock achieved and verified by HWBot is 5905 MHz on Ryzen 5 1600X. The highest frequency for Ryzen 7 1800X is 5803 MHz. Both records were broken by der8auer. 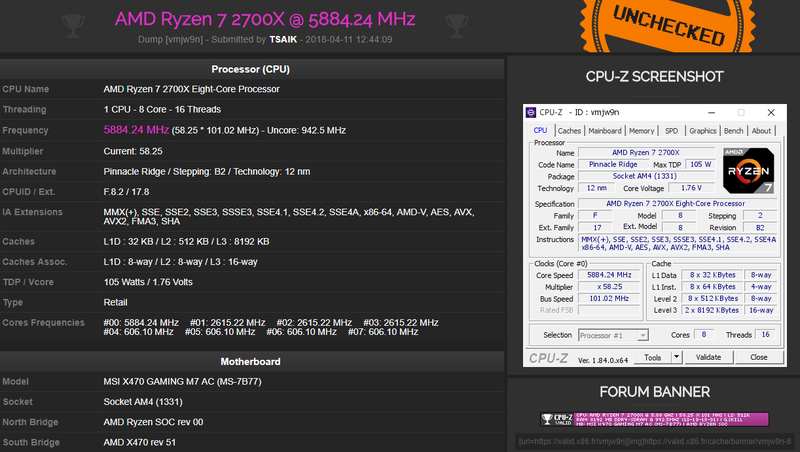 That said, Ryzen 7 2700X’s 5884 MHz clock is just 21 MHz short to beat the world record for all Ryzen processors. For now, it’s a world record only for Ryzen 7 family. The competition for even higher clock has probably already started, so we might be seeing higher frequencies very soon. HWBot should list all entries on April 19th, when NDA on performance results ends. Many thanks to Eric for the tip!